The Original Rock and Roll Farm Boy! mostly to do with what he knows best - chickens, cows, tractors, bringing in the crop, and life as a German farm kid. Not being farmers here at the Picklehead Mansion (although we've tried growing a few pickles out back), we still found Mylo VERY funny. His songs are well-produced and his whole personna will have you rolling around in front of your CD player. Check out the song samples below and we think you're gonna love Mylo. Every Mylo song is now available for MP3 Download for just 89¢ per song! Mylo Hatzenbuhler's alter-ego is Clyde Bauman. Or maybe it's the other way around. In any event, Clyde, who has been making all of these great, excellently produced comedy-music albums, has always wanted to do a Gospel album, so finally used his considerable talents to make one! These are not funny songs, and Mylo is on temporary hiatus, but these are well-produced, inspiring songs, some classics and some new originals. Check out the song samples below, and pick up your own copy of this inspiring new classic! Every song on this CD is now available for MP3 Download for just 89¢ per song! Mylo lends his remarkable ear for parodies to some of your favorite Christmas songs. 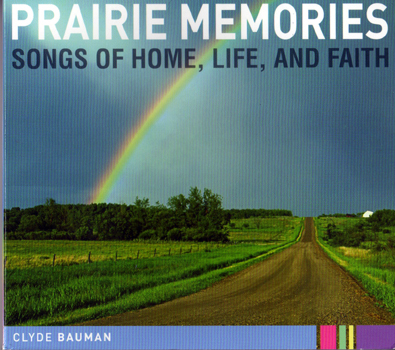 And at the end, he includes several excellent serious versions of Christmas songs by his alter-ego Clyde Bauman, and his wife Janet. Song Samples: Play That Polka Music A Loan Again, Naturally Who Let the Hogs Out?